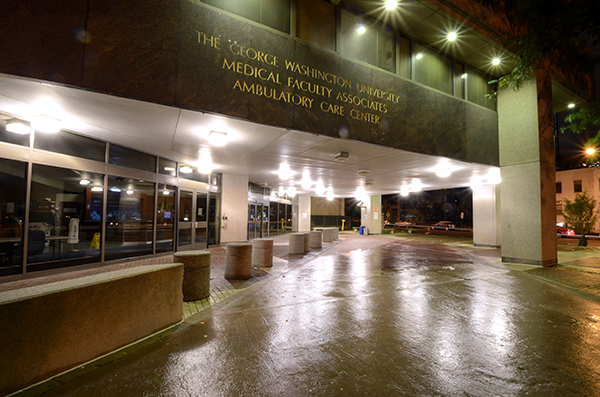 Mohamad Koubeissi, an associate professor of neurology and the director of the GW Hospital Epilepsy Center, will be the focus of a National Geographic show next month. Groundbreaking epilepsy research from a GW researcher will be featured on National Geographic next month. Mohamad Koubeissi, an associate professor of neurology and the director of the GW Hospital Epilepsy Center, will appear on Breakthrough, a National Geographic series featuring researchers with groundbreaking innovations. “I had accumulated some experience in building epilepsy centers from small to big, and I wanted to invest that experience as part of this growth here in Washington as epilepsy center director,” Koubeissi said. Epilepsy is a central nervous system disorder which causes seizures. It can be treated with medication in the majority of cases, but others need surgical evaluation to identify the part of the brain producing the seizures. That surgery can be risky because it requires examining the temporal lobe in the brain, which can lead to memory loss, Koubeissi explained. Koubeissi said the clinical trial he is conducting on humans will hopefully help find epilepsy treatments that do not compromise other brain functions or cause any side effects. “Instead of removing brain tissue surgically, we modify it electrically so that seizures are controlled and even cognition is improved,” Koubeissi said. He conducts most of the research with Donald Shields, a neurosurgeon and assistant professor of neurosurgery, and his research coordinator, Radwa Aly. Koubeissi has a lab in Ross Hall, and conducts his research between the School of Medicine and Health Sciences and GW Hospital. Koubeissi said he was approached by one of the National Geographic showrunners, Kurt Sayenga, a few months ago to arrange a visit to discuss the possibility of featuring how he is treating epilepsy. “We had a big chat about what I was doing and even what I do for fun in life, like playing soccer with my two boys, and then he suggested including me as a protagonist in the neuroscience episode,” Koubeissi said. Koubeissi said having the film crew follow him as he lead his daily life was fun, and most of the time he was unaware of the presence of the cameras. From kicking a soccer ball around with his son to reading a book on the bus to work, the film crew followed him on a typical day and filmed his research, he said. “They filmed me talking to my patients in the operating room, and while we were doing the actual surgical procedure and reading the actual brain waves from live recordings intra-operatively,” Koubeissi said. The episode featuring Koubeissi will premiere on Nov. 29 at 9 p.m. on the National Geographic Channel. Koubeissi is not only trying to treat epilepsy – he has also uncovered an on-off switch in the human brain and published a paper on human consciousness. “The two as you could imagine are not completely independent because epilepsy often affects consciousness during the seizures,” Koubeissi said. The paper he published on human consciousness has recently been highlighted in The Economist, The Wall Street Journal and The Washington Post, and Discover Magazine named it as one of the top 100 stories of 2014.